A 70" TV weighing 35kg is being mounted on stud partition wall using a fixed position TV mount which is 600mm wide. It will hit two studs approximately 230mm apart in the centre of the TV mount. While studs are normally 600mm apart, they are closer together beside a concrete column which is hidden by the plasterboard over it. 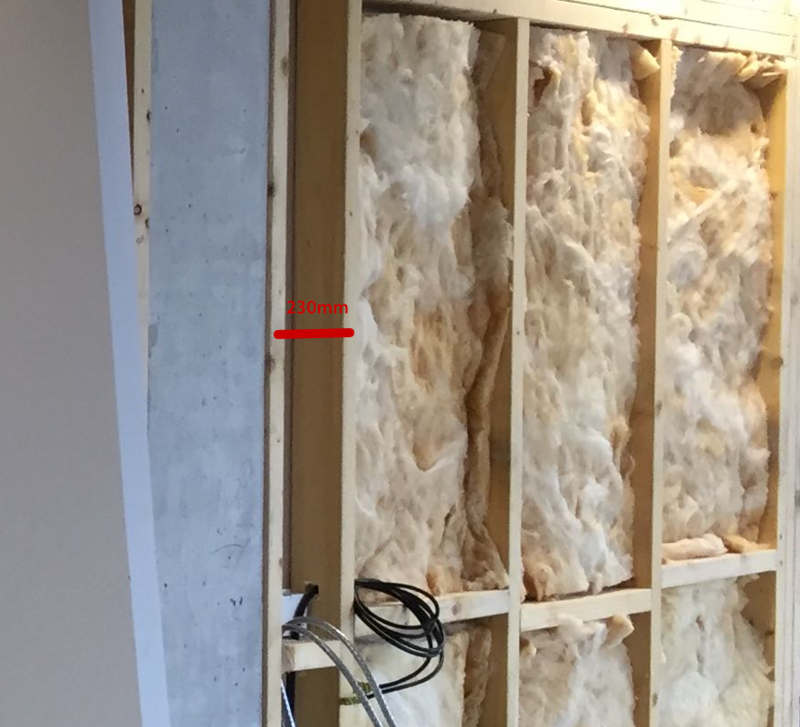 The wall has 12.5mm plasterboard over 6mm plywood over the stud partition. The TV Mount (rated for 100kg) came with 6.3x55mm screws and wall plugs for use in a variety of materials - brick/concrete/wood. Should I use the included screws or instead use Goldscrew Woodscrews or TurboCoach Coach Screws? If so, what diameter and length would you suggest? Here's what came with the TV mount. Looks like they suggest driving the screws straight into the wood, however I assume for a screw of this size a pilot hole should be used? You have 1/2" drywall over 1/4" plywood on top of clean studs. The supplied screws are 1/4" x 2". Those are probably strong enough, but I would go with 2-1/2" or even 3" cabinet screws - something like these. There is normally a concern of "what if there is something inside the studs that you might hit with a screw. In this case, you have seen the open walls so that should not be a concern, so if it were me I would go with longer screws. 55mm - 12.5mm - 6mm = 36.5mm ~ 1.4". 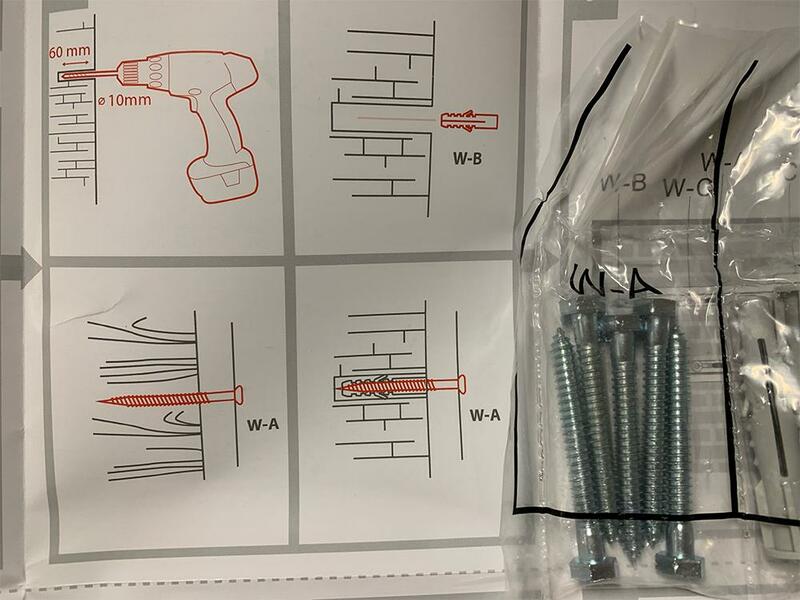 If you decide to use other screws, make sure they have a large enough head that they secure properly over the holes in the TV mount, or use appropriate washers together with the screws. I use those yellow or green, star bit deck screws from HD for nearly everything. because of the star bit, you can drive them deeper than drywall screws, which often torque out if you are driving long ones and hit a knot or some hard wood. But, yea, nearly anything with enough length to get an good 1 1/2 or 2 inches into the stud will work. Use as many as you have holes for in the mount. for a flush mount the weight is in shear and strong screws are not needed, the supplied screws will hold about 100kg each. Not the answer you're looking for? Browse other questions tagged screws mounting studs tv or ask your own question.